When it comes to marine batteries, there are a variety of choices for you to choose from and they all may seem similar, but when you read closer they are drastically different. For instance, gel cell batteries are becoming very popular for boaters. Do you know why? Here are some of the biggest gel cell marine battery advantages. All batteries start out with lead acid. However, with lead acid, you have serviceable and maintenance free. If you have a serviceable battery, you may sometimes add water to it to regain a lost charging ability. The downside to this older style battery is that they do produce gases and if battery acid gets on you, it could be dangerous. Some have even exploded on people in the past and for that reason, most people have moved on to the AGM or Gel batteries. 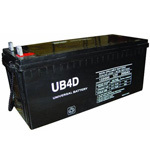 AGM batteries are a special battery that have a glass mat design. They are designed to wick electrolytes between battery plates. They are great for many uses because they do not contain more liquid than is absolutely necessary for them. This means that no liquid will be free to leak out, even if the battery ends up broken. It also means that nothing can splash out or leak even if you have it in a boat or off road vehicle. Which brings us to the question of, “Are gel batteries better?” because most people feel that AGMs are great. To discover whether gel is best or not, you must first understand that they are made with a very thick, paste-like material. It is silica gel and within the gel is where the electrolytes are suspended. The paste allows electrons to flow freely between plates, but will never leak out of the battery box, even if something happens and you break the battery case. 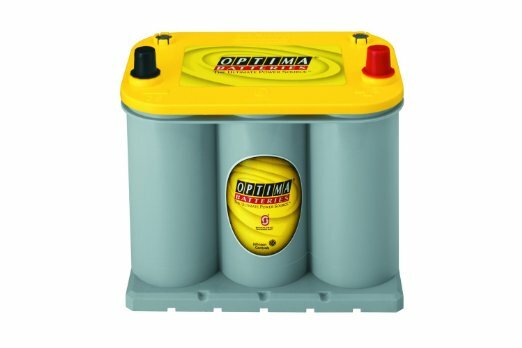 The best feature of these batteries is that they are ideal in hot weather situations or even for use as a marine battery since they can handle a very deep discharge, which is very common in the marine environment. AGM batteries are preferred by many. It provides a high burst of amps whereas a gel cell battery has a slow discharge rate. 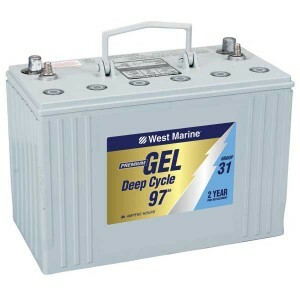 However, if you look at a gel battery such as the West Marine Deep Cycle, you will see that it provides 73Ah and a very impressive free replacement warranty. In general, this should be enough power for most people. The biggest downside to a gel battery is the way it has to be charged. If it is not charged the right way consistently, it could end up suffering major damage. 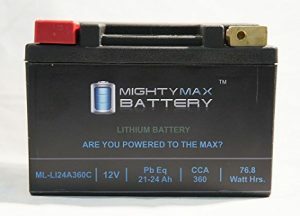 A battery charger must be designed to charge this type of battery. Even an alternator may require a special regulator to run them. The good news is that most battery chargers do have a setting on them to allow you to charge gel cell batteries, so you may not have to upgrade your charger. To learn more about gel batteries, you should take a look at the popular choices below. This 12V 20-24Ah battery offers 370 cold cranking amps. It does not contain any liquids to ensure that it is safe for all marine use. It is lighter than traditional lead acid batteries by up to 80%. 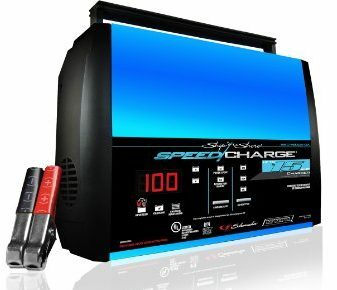 You can discharge it up to 80% repeatedly without worry about damaging the battery and it does fit in all battery boxes that have enclosed foam blocks. This battery has a durable polypropylene case. It has a self-sealing vent system to prevent loss of the fluids inside. It is a 12V battery and can hold a charge longer than most all other available batteries. It is durable enough to last between 7-10 years on average and if properly cared for.